Author - Intrepid Entrepreneur, Inventor,Investor, HOPE GIVER! David was born and educated in England. He grew up in poverty BUT! graduated from Bridgewater Technical Institute and ran away from home and sailed to Canada. From office boy at 16 to district manager at 19 with the phone company, he met and married Sonja,one of his operators ( who got his number! ) 58 years ago. 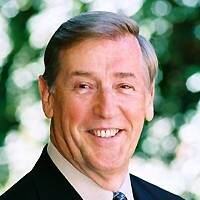 He attended the University of British Columbia and studied economics. After immigrating to the United States he spent twenty-five years in senior sales and marketing management positions with Revlon, Helena Rubinstein, Lancôme, and Charles of the Ritz. David has reached the top level of several networking organizations and his second career as an entrepreneur led to him owning several businesses, which included restaurants, a mail order and manufacturing business and even a criminal college. He is a graduate of the Mark Victor Hansen and the Robert Allen Enlightened Millionaire program and is an expert on how to buy real estate with the “nothing down” system. He was inducted into the Enlightened Millionaire Institute Hall of Fame and is featured in national media and infomercials and is a popular guest on radio talk shows. He is a certified probate specialist with the J G Banks Institute and is active as a frequent guest on radio talk shows and podcasts. Author, speaker, entrepreneur, investor, hope giver! CORPORATE EXPERIENCE: 25 years. Western Manager for three major cosmetic companies. Revlon, Helena Rubinstein Lanvin Charles of the Ritz. (Division of Squibb) Positions involved sales and marketing management covering the Western Hemisphere. Also included responsibilities for recruiting, training, warehousing, and product distribution. Sales and marketing management positions in senior care and the travel industry with call center and trade show responsibility. Currently CEO of Target Management Services, a management and marketing organization. 2) Created, manufactured and marketed “Start Me Up “a simple effective product to “jump start” a dead battery in an automobile. National and international distribution. (3) Developed marketing system to create niche market in real estate investment. National Sales Meeting. Global Publishing. Las Vegas. 1400 delegates. National Radio, TV infomercial talk shows discussing real estate investing and entrepreneurship. Keynote presenter at Mark Victor Hansen’s and Robert Allen’s Last Minute Millionaire seminar. 175 attendees. Hosted national teleconference call for protégé students covering real estate buying, selling, and investment strategies. Ongoing training program to improve skill levels. Keynote presentation Las Vegas Real Estate Board of investors. Family inheritance facilitator presentation. Maui. Registered in Hall of Fame Enlightened Millionaire Institute. Top Award. Featured in national TV infomercials. Recognized in best selling book One Minute Millionaire and soon to be published Last Minute Millionaire. Personal: I was born and educated in England and grew up in abject poverty with no heat, running water or electricity. After finishing high school I ran away from home, jumped on a ship in Liverpool and ended up in Vancouver, Canada. From office boy to district manager at 19 with the phone company I married one of the operators 59 years ago. We have two grown children and four grandchildren and lives part time in beautiful Hawaii. Find out more about David Selley at http://www.davidselley.net.